So I received a call last Monday that I needed to make pate’ for about 200 people on Thursday for the Fourfold Path to Healing conference in Baltimore. I thought, “Fun! Fun! Fun!” and so it was. After a flurry of calculations and number crunching, I extended the recipes I had. (Most people don’t know that chefs need to be mathematicians too!) 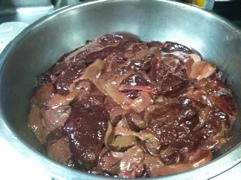 Ordered 20 pounds of beef liver and 17 pounds of pork liver and everything needed, and I was off to Baltimore. We went to Capitol Hill yesterday, yes, we did…my raw milk buying club…and lots of other folks…400 or so of them, from as far away as California (thank you, Mark McAfee of Organic Pastures)…to protest the FDA ARMED RAID on our FARMER, Dan Allgyer. Our Amish farmer. What did Dan do? He was milking our cow who lives in Pennsylvania and delivering the milk to me and my club members who live in Maryland. Let me be clear, folks. This was not a raid conducted in the name of “food borne illness”. No one has ever been sick from Dan’s milk. FDA officials insist milk needs to be inspected and pasteurized to guarantee its safety. Raw milk proponents flatly deny the claim, saying raw milk is much safer than the pasteurized version and want the government to back down. It was a raid because the FDA considers our club’s milk “contraband”, crossing over the state line from a state where producing, selling, and consuming raw milk is LEGAL, that is, Pennsylvania, to a state where it is illegal, that is, Maryland. However, the FDA doesn’t have a case, because that is not contraband, it is OUR MILK from our cows. So, we went to Washington yesterday. Capitol Hill. Upper Senate Park, with the Capitol in the background. Beautiful day. 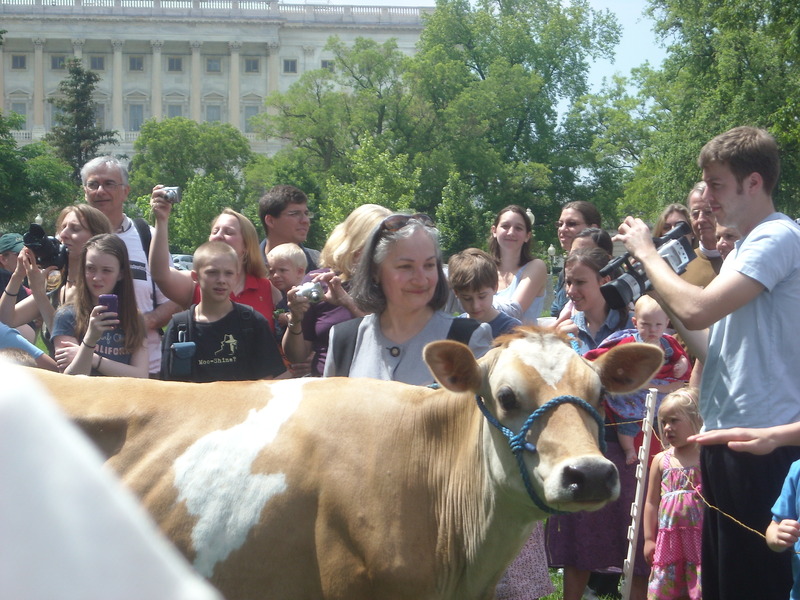 And Mrs. Moo (a beautiful cow) came to Washington, too. 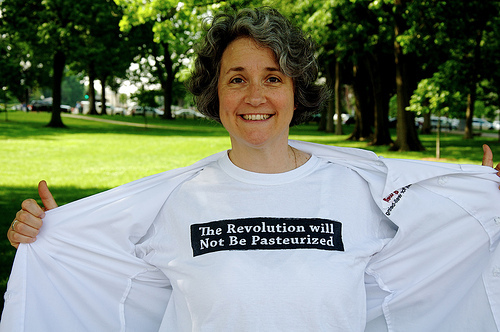 And she was milked on the Hill, in the District of Columbia, where producing and selling raw milk is also illegal. We consumed some raw milk, too. (Drank it “at our own risk” , according to the signs.) I got to pour gallons of that liquid gold and hand it out to eagerly waiting hands. Children and parents, reporters and lawyers, cameramen and women, speakers and organizers…and they ALL LOVED it. I say “liquid gold” because it is so. The color of the milk reflects the spring grass the cows have been eating. I also say “liquid gold” because it represents a strong challenge to the Dairy Industrial Complex in this country. The Dairy Industrial Complex (DIC for short) doesn’t like raw milk and it doesn’t like people like me to purchase it directly from my farmer. More and more people are doing so every year, according to Sally Fallon Morell yesterday. The number of people drinking pasteurized milk are decreasing steadily, as the numbers drinking raw milk rise. If this keeps up, the DIC will cease to exist. It will go out of business. And that is EXACTLY what they are afraid of. There is much at stake here, folks. Our FREEDOM OF CHOICE…Freedom to choose what food we eat and where we purchase it… and from whom we purchase it. DIRECT FARM TO CONSUMER SALES. Our rights. Our HEALTH. 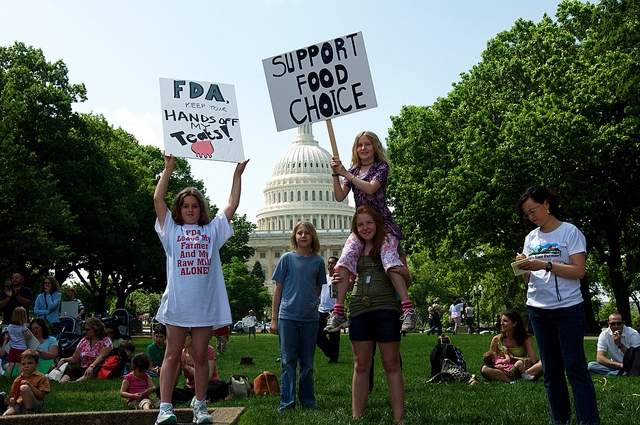 Someone said at the Rally for Food and Farm Freedom yesterday, “if it were up to the FDA, we (those who want to eat real food) would either starve or die of chemical poisoning.” Which is of course, what much of America is doing. Dying of the chemical soup the FDA allows in our food. Dyes, food additives, food “fractions”, “food products”. Is it a wonder that so many American children are obese? Are diabetic? Hmmmmmmmm. The kids at that rally were not obese. Not diabetic. Don’t suffer from ADD and ADHD. Are not on the autistic spectrum. Their moms are feeding them REAL FOOD. REAL milk. RAW milk. “Children who start out on raw milk are very healthy children, as all of you know. They don’t have asthma, they don’t have allergies, they don’t miss days at school, they don’t get sick, they don’t have digestive problems,” said Sally Fallon Morell at the rally, to applause and cheers. Just a few parting thoughts…thanks to the organizers, Liz Reitzig and Karine. Thanks to all the speakers for their wisdom. Thanks to my Honey for designing the T shirts you see in all the photos “FDA LEAVE MY FARMER AND MY RAW MILK ALONE” as a fundraiser for our farmer. (If you would like to purchase a T shirt and support Dan, click HERE.) Thanks to the FARM TO CONSUMER LEGAL DEFENSE Fund. Thanks to the WESTON A. PRICE FOUNDATION. Thanks to Sally Fallon Morell. And thanks to Dan Allgyer of Rainbow Acres, our brave and honest farmer, a good man, for all his hard work in raising our cows. We support you and are with you. …stay tuned…more photos to come. I’m in the desert. The “food desert*”. I am currently in the desert, or one of them. Stranded in Phoenix, AZ on the way to San Francisco. (Okay, “stranded” is a bit severe, but you get my point.) On my way to the 2011 Fourfold Healing Conference that starts today. One of the planes I was to be on had some mechanical issues, so there was a new plane, and yes, delays. And I landed here. In Phoenix, on the way to San Francisco. I have no problem with Phoenix, or with deserts, per se. I do have a problem with what I have been experiencing, however. A food desert. I’ll tell you more. As I said previously, I have no problem with the city I’m in. (In fact, if I had a longer layover, I’d get to see a dear cousin who lives here.) The hotel is nice, and they will do their best to serve a lovely, typical American breakfast…continental or “full”. The folks with whom I am traveling, all seventeen of us sharing this unplanned stopover–will probably say it is wonderful, bountiful and delicious. But I am blessed and cursed with “eyes that see”…or just with “knowing” what REAL food is, and what our bodies need to thrive. I am HOPING for REAL BUTTER…but I have a feeling that even if I find it, all that I will be able to spread it on will be refined wheat products…no sourdough, no sprouted grains, no soaked oatmeal. I am HOPING for REAL CREAM…but that is hard to find in these days of full fat fear…if I am able to find even “half and half”, bet your bottom dollar it won’t be organic, it won’t be from grass-fed cows, and it will be UHT (ultra-high temperature pasteurized). I KNOW I won’t find any ferments…I may be able to find some plain yogurt. But again, it will be from cows raised on grain, not organic, certainly low-fat or no-fat…Perhaps I’ll find some bacon or sausage–but locally sourced and nitrate free? Think again. So…what to do? Not eat? Not an option today, folks. I am living on 4 plus hours of sleep after a very choppy day of travel, with a full day and weekend ahead of me. So I have to eat something. At this point it’s just “fuel for the body” to get to my final destination point…where I KNOW the food will be nourishing, whole, REAL, and truly satisfying. Until then, I’ll do my best to pick and choose the best of what I am presented with. Until I am out of the desert. The bigger question of course remains…how to populate the food desert between the two points with REAL food. With the ability to discern what is nourishing and nurturing food that will help the body thrive. And that, as you know my dear readers, is the point of all I do. On to the conference and back into my life to “teach, teach, teach!” and do my best to make the desert fertile with REAL food. For all of us. *Note: I am borrowing a term that is usually used these days to describe urban areas where there is no fresh food to be found for sometimes miles. Yes, miles. Those “food deserts” must also be addressed, and some of the efforts of “urban agriculture” are doing so. For examples, see the city of Baltimore and San Francisco. Future Harvest offered good information about urban ag at their conference this past January. 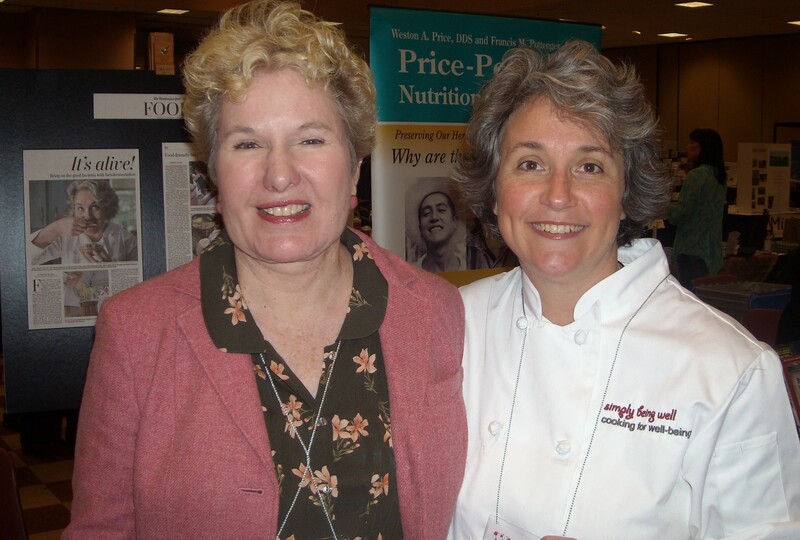 Here I am with Sally Fallon Morell in front of my table at WT 2010! So I’ve been home 6 days…and this is my first chance to write about my experience at the Weston A. Price Foundation’s Wise Traditions Conference in King of Prussia PA. What a wonderful conference! The FOOD! The FOOD! The FOOD! (did I say “the FOOD”?!) Unbelievable. Don’t know how they did it. (Actually, I do know, having been an event planner, conference manager and catering company owner in the not so distant past. ) It was QUITE A FEAT, and pulled off quite well by the staff of the WAPF and PTF Associates. Over 1500 people registered before the conference began, and I am guessing another hundred or so on-site. All those people. All those happy people…people IN SEARCH OF something more, something REAL…real information about FOOD, FARMING and the HEALING ARTS. This year’s conference was focused upon THE POLITICS OF FOOD…and if you don’t think food is political, think again. One of the most basic things, one of the most primal things, is to eat. All of us do it. Everyone must eat to live. We are challenged, though, in this day and this age to EAT TO THRIVE. The food at this conference, the basis of the teachings of Weston A. 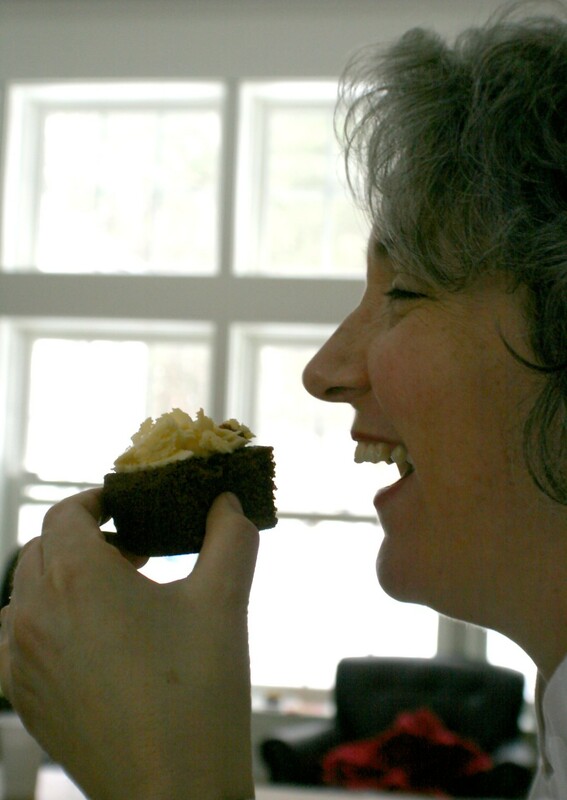 Price and the foundation that Sally Fallon Morell began over 12 years ago is about EATING TO THRIVE. Eating is a political act. What one chooses to eat, where one purchases one’s food is a political act. Every day we are voting with our pocketbooks…do you support family farms or factory farms? “Animals expressing their animal-ness” (as Joel Salatin has said it), or CAFOs? Do you support small enterprises or big business? REAL food or processed food? Surviving or THRIVING for yourself and your family? With The Barefoot Cook, Amanda Love at Sunday Brunch. Great Job, Amanda! 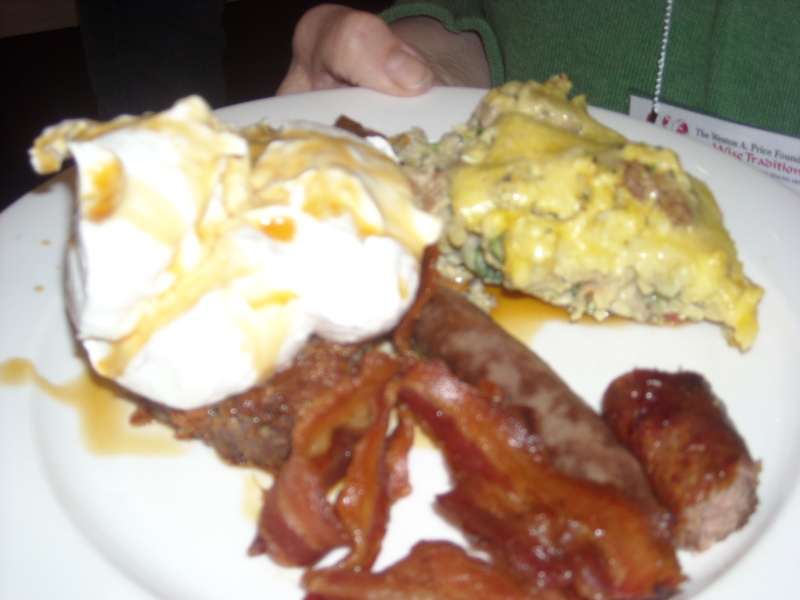 Every meal we ate at the conference was REAL food: meat and turkey and eggs and produce and cheese, butter and milk from sustainable farms. REAL milk…raw milk. 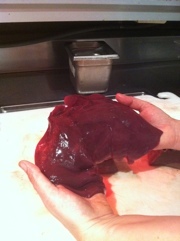 Delicious, nutritious, FULL of live enzymes and vitamins and good health. Soaked oatmeal or quinoa every morning for breakfast. Hand-made sausages on soaked flour biscuits. (Only my fermented KETCHUP or mustard would have made them better!) REAL butter. Lots of it. 170 pounds per meal served! The ferments. The FERMENTS! Cortido, chutneys, salsas, red cabbage, garlic flowers…The BREAD! Soaked or sourdough…easy to digest, covered with real BUTTER or coconut ghee if you preferred. NOTHING PROCESSED. NO REFINED SUGAR. NO COFFEE. Can you believe it?! 1500+ people on no processed food, sugar or coffee for 4 days! And the food was plentiful. 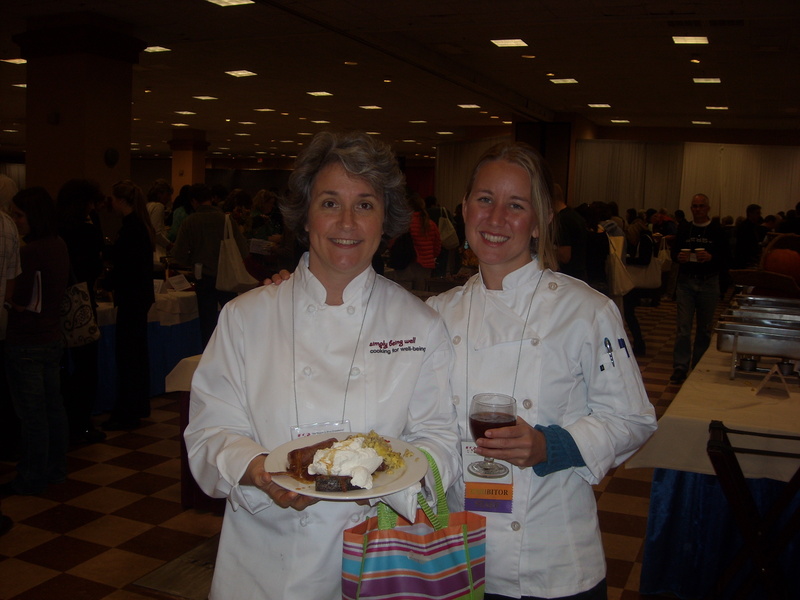 Our bodies were in FOOD HEAVEN, and our minds worked well through the packed conference days because of it. No late afternoon blood sugar crashes sending us off for a chocolate or coffee fix; focused minds. Thanks to all the farmers and organizations that contributed!! Serving hundreds nourishing, traditional food! Eating is a political act. If you care about small farms and your right to continue to purchase from them, as well as your right to nutrient-dense food, GET INVOLVED. The Farm-to-Consumer Legal Defense Fund is a great source of information and can keep you up to date on what is happening. Support the Fund and the Foundation so that they can continue to support and protect the farms you want to purchase from…through farmer’s markets, CSAs and on-farm purchases. It matters now more than ever. See FTCLDF’s info on S. 510 HERE. So, just a few reflections on a wonderful conference. I am sure I will write more in the days to come. I encourage you to attend next year…for information…resources…and connections. If you love nutrient-dense food, cooked in a way that is delicious AND good for you, come and be with your tribe. I know I will. The FOOD ALONE is worth it. YUM! Sunday Brunch: all farm-fresh sausages, bacon, egg and veg frittata, soaked waffles with fresh whipped cream! Notes: The people of Pennsylvania and several other states in the U.S. are blessed to be able to purchase raw milk in stores in their state. 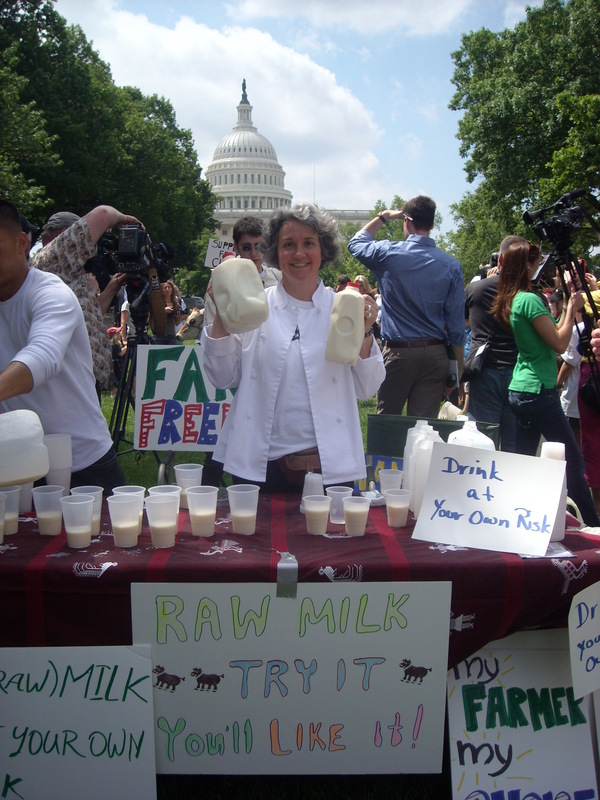 If you want to know more about raw milk and your rights to it, see www.realmilk.com,and support the Farm to Consumer Legal Defense Fund, HERE. aka, Why PROCESSED FOOD ISN’T FOOD…! I started out with the intention of writing about “food fractions” today…and it appears that McDonald’s–yes, the Golden Arches–has given a perfect intro. If you have ever wondered why you should cook and serve REAL food to your families, especially your CHILDREN, here’s one good reason. It’s finally out… Happy Meals don’t decompose! Do we want to feed this to our children? Do we think this could be at all nutritious and promote thriving and good health? Do we even have to wonder why our children are plagued with allergies, eczema, or over-tired/always wired? How about the inability to focus? ADD? AD/HD? We cannot expect our children to function optimally if they are not given the resources to do so. And INSTEAD of FEEDING THEM REAL FOOD and giving their bodies/minds/spirits a chance to COME TO BALANCE, our medical culture is promoting drugs instead. Let’s not even BEGIN to talk about CHILDHOOD DIABETES and OBESITY. Do ya wonder? Can ya wonder? McDonald’s is not serving FOOD. The problem is, hardly anyone else out there is, either. Okay, maybe I am being too hard. McDonald’s does serve lettuce and tomatoes, albeit conventionally grown and therefore most probably laden with chemical pesticides, fungicides, and fertilizers. (Chemical soup for the diet! One more thing contributing to the toxic load the body has to deal with!) And McDonald’s ISN’T THE ONLY ONE serving what I call “food fractions“. Even those gourmet restaurants use buckets of food fractions with long lists of ingredients! Food fractions are components of food that are isolated in a lab or processing plant, and then mixed together and served up as “food”. (Can you see the cauldron or mad scientist…hear the pipe organ behind the scene? No, really, I am sure the current Food Industrial Complex meant well, in the interest of speed, production, and money…it’s just that OUR HEALTH has suffered!) An easy food fraction to identify is called an “isolate” (e.g., soy protein isolate). You can recognize food fractions because they are usually more than 3 syllables and are very hard to pronounce. Another red flag is when there are more than 5 ingredients on the label. Having a label at all should set off warning bells to take a look at the ingredient list! So………is this food? The answer is NO. Michael Pollan has talked about it in In Defense of Food and Omnivore’s Dilemma and continues to talk about it. 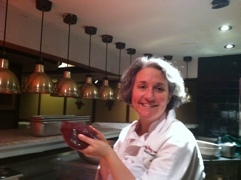 Nina Planck has talked about it in REAL Food. The Weston A. Price Foundation has been talking about it non-stop since it was inspired and birthed by Sally Fallon Morell in the late 1990’s…and they will continue the conversation at this year’s Wise Traditions conference in King of Prussia, PA November 12-15. Joel Salatin talks about it in The Sheer Ecstasy of Being a Lunatic Farmer…SLOW FOOD began in Italy years ago to counter the Fast Food Movement in the US…How about Fast Food Nation? FRESH: The Movie…There are many more out there pointing the way back to REAL Food. Nourishing, traditional food. What does REAL food look like? 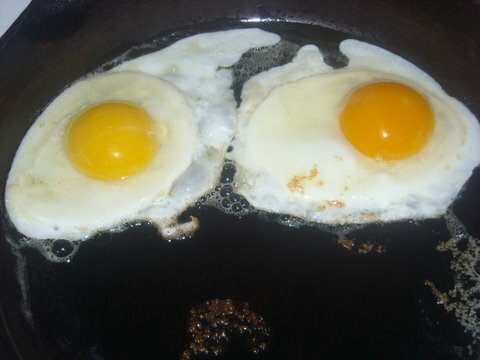 To state the obvious, REAL FOOD LOOKS LIKE FOOD! REAL food is minimally processed. It is as close to the source as possible. For example, oats and oatmeal, vs “Honey Bunches of Oats” or “Whole Grain Cheerios”. Read “high in sugar” and “processed”. I cannot even RECOGNIZE an OAT in either of those cereals! Can you? Really? REAL food starts with the highest quality ingredients that are prepared in a way that maximizes nutrition for the body. The ingredients are fresh, local, sustainably raised, organic or biodynamic. Meats are from animals raised on pasture, or “grass-fed”. 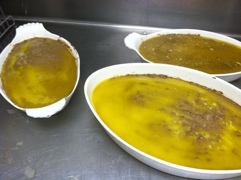 The fats are traditional fats: lard, tallow, pastured butter, animal fats, coconut oil and olive oil. The dairy is from cows that are raised on pasture, which has not been subjected to heat (i.e., pasteurized) or homogenization. It is certified raw dairy. Or if you are unfortunate enough to live in a state where fresh milk is illegal (can you believe it?? In the land of the free?) it is cultured, pasteurized dairy. There are no additives, flavorings, colorings, or preservatives. 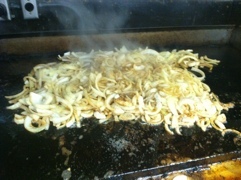 The food has not been subjected to high heat or pressure. (Read most things that are canned.) Therefore, it’s molecular structure is still intact and its enzymes are still alive. Basically, stay out of what I call “THE DEAD ZONE” in the grocery store. Heck, stay out of the grocery store! (Okay, now I’ve gone off the deep end, right?!) Get your food from coops, CSAs, farmers markets, wholesale clubs…grow some yourself. If you are going to shop in the grocery store, and many of us must…read your labels, and stay on the perimeter as much as possible. Start feeding your children, your family and yourselves REAL Food. Nourishing, traditional food. Try it for 3 months. Heck, try it for 1 month, I dare ya! You will start feeling better, symptoms and allergies will subside…the ability to focus will follow. If you don’t know how to cook nourishing, traditional food, REAL food, come to a class…or watch for my cookbook, due out by the WAPF conference–mid November. If you won’t cook for yourself, cook for your children. 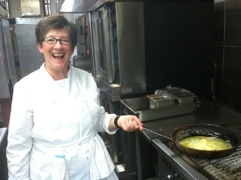 I teach a series of Cooking for Well-Being Classes called REAL Foods for Thriving Children. I am starting a new series in Oakton, VA on Tuesday mornings 10/19. I also teach a series called small changes: BIG impact–REAL food to Balance Children on the Autistic Spectrum and with AD/HD. I am teaching this series in Great Falls, VA on Saturday mornings. Check the Schedule of Classes for details. All of these classes are open to everyone. You do not have to have a child to benefit. THE TECHNIQUES ARE UNIVERSAL. And if time is tight and you would like to learn it all in one day, come to the Wise Traditions conference in November and sign up for an all-day class with me on Monday, November 15. All the techniques and all the timing to fit this food into your busy life! Just come!